What's the right cloud service for your business? Head in the cloud? Keep your feet on the ground. We're constantly told about the evolving cloud market and the benefits it can bring, but with so many different storage services available it can be a challenge nailing down what's right for your business. What's more, does the proliferation of cloud solutions mean the in-house server is all but dead? To get some answers, we spoke to Danny Major, managing architect at industry specialist Adapt. TechRadar Pro: Is cloud still a trend or has it become the new normal? Danny Major: Working in the service provider industry, cloud has become best practice for our customers - we work with them to find the right-fit cloud for specific tasks and workloads enabling seamless migration between platforms as and when required. At the other end of the cloud scale we have 'Joe Public' with a collection of apps on his smart phone – this is abstracted away from the cloud yet is very much the leading consumer. In a recent Cloud Industry Forum Survey, it was revealed that 75% of UK businesses are now officially in the cloud. Cloud has definitely become the new normal, but businesses are still only part way through their journey. TRP: How does working with the cloud differ to working with an in-house server? DM: When an organisation evaluates their IT strategy, I urge them to focus on the required business outcomes rather than technology. With this in mind, the differences of cloud compared to in-house are around enhancements in flexibility, scale and peace of mind – all whilst performing seamlessly to maintain a 'business as usual' environment. TRP: Is there still a role for the on-premise server? DM: The idea of the on-premise server is not only eroded by the concept of cloud but also by the mindset of the modern worker, where a 'work from anywhere' approach has been adopted. With recent developments in Desktop as a Service (DaaS) solutions, users can gain a consistent experience whether they work on a mobile device or home desktop. Couple this with enhanced bandwidth speeds and the need for localised file shares and applications become redundant. Where an organisation has invested in on-premise infrastructure (to assist and stage the journey to the cloud whilst making use of their capital investments), I have seen on-premise equipment being used as a disaster recovery (DR) facility as part of a hybrid or distributed cloud. This is a short-term fix and as the equipment ages, the business would need to decide where their resources are best placed to meet their security, DR and business continuity needs. TRP: What's happened recently to signal this change? DM: The access anywhere approach of today's workforce has been a significant driving force in the uptake of cloud services. I would say the ease of the adoption of this new technology is a key factor of this change, benefiting both the system administrators who manage the environments and the business lines that the platform underpins. Whenever there is this level of alignment between technology and business outcomes, a fast rate of change is inevitable. TRP: What are the main advantages of cloud computing, from a business point of view? 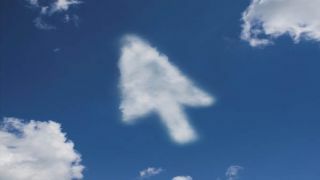 DM: For me the main advantages of cloud are its flexibility, its transparency and its ability to enable business change. A great example is speed to delivery - the request process, business case and sign-off, and then the management, physical delivery and deployment of the server. Today, in a cloud-based world, the approval and deployment can be streamlined, and most importantly, the value can be delivered back to the business in a far shorter time frame. As businesses also look to leverage their data through warehousing and analysis, solutions can be deployed to the scale needed, when needed and then throttled back to balance the cost vs. benefit achieved.